Women’s Web examines the rise of Women Entrepreneurs in India and brings you the details about why, where and how successful are these Indian Women Entrepreneurs. Everywhere you look, there is an Indian woman in the pursuit of the entrepreneurial dream. 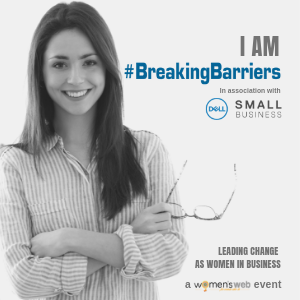 Women have always been involved in small, usually home-based businesses but this is different. We are more visible, we are more ambitious and we hear more women talking about building businesses, not just earning an income. What is driving so many women to start businesses? What challenges do they face? What helps them succeed? Does gender enter the entrepreneur’s mind at all? These were only some of the questions we had, and out of that emerged the Women’s Web Women & Entrepreneurship in India 2012 Study. The study was conducted online between June 1st and 20th and we received responses from 114 women entrepreneurs across the country. 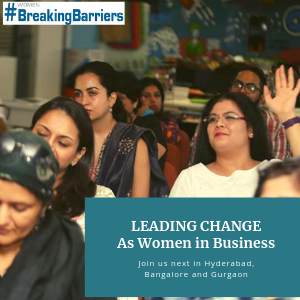 Below are the results, which will be of interest to entrepreneurs, entrepreneurs-in-the-making, mentors, advisors, funding firms and anyone with an interest in the story of women and entrepreneurship in India. 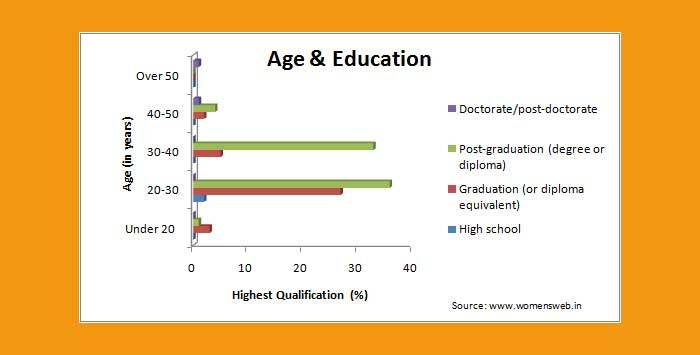 Women entrepreneurs in India: Who, where, how big? A significant chunk (58%) of the entrepreneurs we surveyed had started their businesses between the ages of 20 and 30; interestingly, 25% had started up even before turning 25. It raises the possibility of at least some women starting up businesses without first holding a job, right after their education. As expected, most were either graduates or post-graduates. Which cities are producing India’s women entrepreneurs? 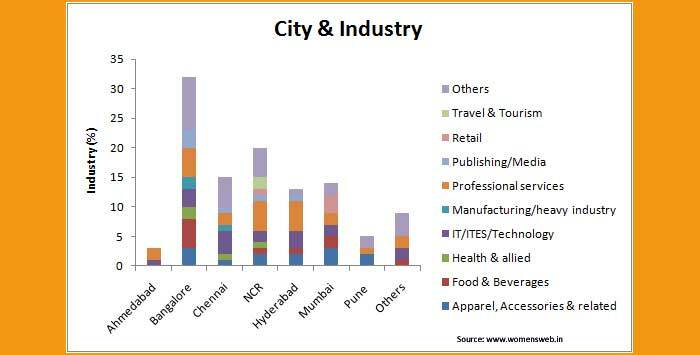 Bangalore leads all other cities head and shoulders in the presence of women entrepreneurs. Kolkata is the only absentee large metro (tucked away under ‘others’), with all the others such as Chennai, the National Capital Region (NCR), Pune, Mumbai and Hyderabad figuring in the list. As for industry type, Professional services, IT/ITES, Apparel/accessories and Food & Beverages are the four major sectors in which women own businesses (59% of those surveyed). The majority of women-owned businesses are micro-enterprises or small/mid-sized businesses, with 73% reporting a revenue of under Rs.10,00,000 (Rs. Ten lakh or One million) in the last financial year. Corresponding to this, the majority had under 5 employees (71%). 57% of women entrepreneurs had started their businesses alone, while 35% had a co-founder and 8% were part of teams that involved more than 2 co-founders. What drove women to start businesses? The opportunity to work more creatively and the perceived benefit of being one’s own boss were the top reasons chosen. While work-life balance was also chosen (by 36%), that was not the biggest reason for women turning entrepreneurs, as is commonly perceived. 60% of women entrepreneurs started their business with a capital of under Rs.1,00,000, and personal funds and savings were used to start the business in a majority of cases. However, 30% of those surveyed stated that they had used more 1 source of funding. We asked women entrepreneurs to pick their challenges, both at the time of starting up and at present; they are not the same. Financial and Marketing related challenges emerge as the top pick at both times. 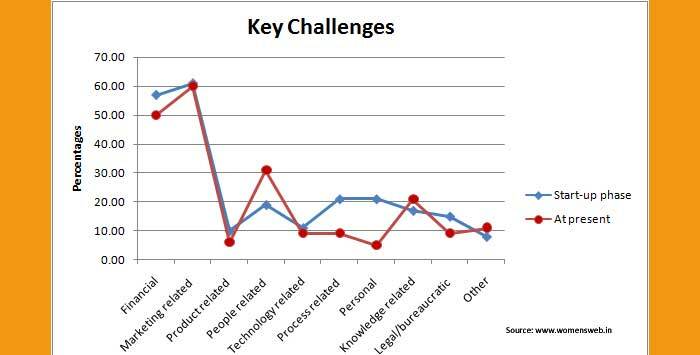 People challenges however are stronger at present than while starting up indicating that as teams grow, so do the challenges associated with them. Personal challenges (bandwidth/time management) however, drastically taper off suggesting that women’s confidence in their own abilities as entrepreneurs has grown with the experience. As for support in their entrepreneurial journey, besides friends and family (the top choices), the growing importance of the entrepreneurial community is reflected in the fact that 26% mentioned other entrepreneurs and entrepreneur groups. 23% also mentioned mentors and advisors. Perhaps my personal favourite among all the charts that emerged from this survey is the one below. When asked what was the biggest benefit they had derived from starting up their businesses, this is what women had to say. 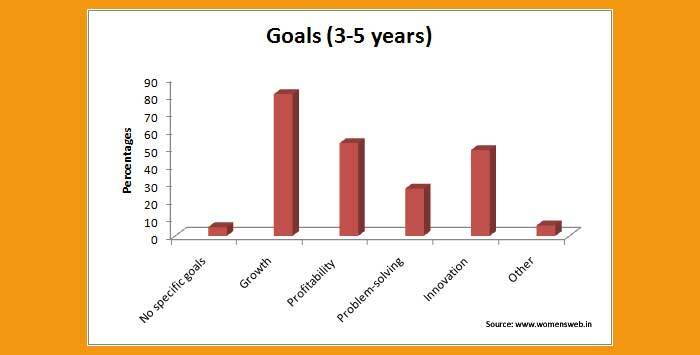 On the question of goals, the majority chose growth and profitability related goals (81 and 53% respectively). This may not directly answer the question of whether women entrepreneurs want to scale up their businesses or not, but it does indicate that women’s businesses are not just hobbies or ‘lifestyle businesses’, as sometimes alleged. 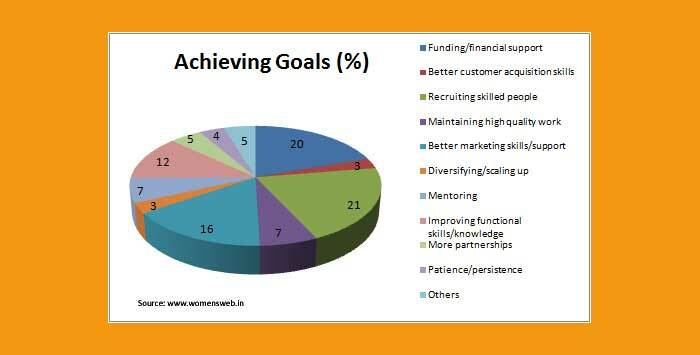 We received a total of 107 responses on what would help them achieve these goals, and the ones listed most often were recruiting skilled people (21%) and funding or financial support (20%). 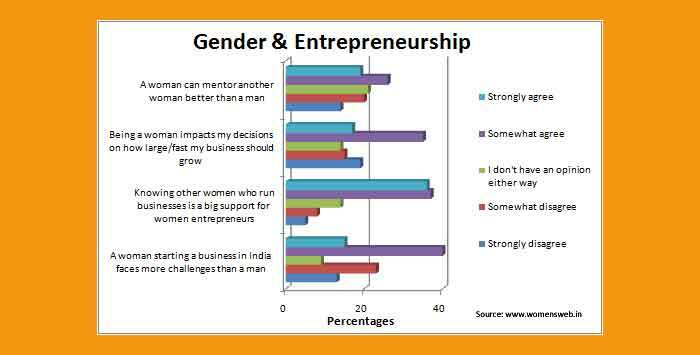 Finally, we asked our respondents to consider the question of entrepreneurship through the prism of gender. What did they believe? 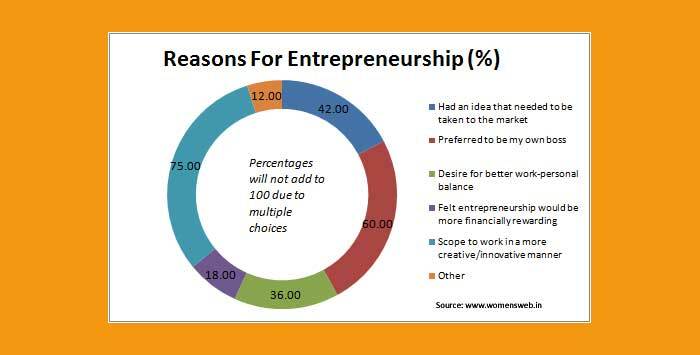 In short: Yes, it is harder to start a business if you are a woman (55%). Yes, knowing other women who run businesses is a big support (73%). Yes, being a woman impacts decisions on how large/fast the business should grow (52%). On the question of whether a female mentor was better for women entrepreneurs, opinion was more divided. The Women’s Web Women & Entrepreneurship in India 2012 Study has been a great opportunity for us to look inside this wonderful, brave world of women pushing the boundaries. I would like to thank here the many people and groups who helped us by sharing it with their networks, especially The Hatch, Your Story, The Open Coffee Club, Bangalore, the HEN network and bloggers Kanupriya Sindhu and Unmana. Please do share the story on your social networks and help us get the word out to more people! Find your chart very very inspiring!!! Great study, very well presented. true facts entrepreneurship , very much motivating ! I AM A POST GRATUATE IN RURAL DEVELOPMENT , 30 YEARS OLD, RUN A NGO FOR EMPOWERMENT OF WOMEN IN RURAL ORISSA. I HAVE PROMOTED 200 WOMEN SHGs ( WOMEN SELF-HELP GROUPS ) I WANT TO PROMOTE ENTERPRENURESHIP FOR THE MEMBERS OF THOSE SHGs AS WELL AS FOR ME. I WAS IMPRESSED BY YOUR SITE AND SEEK GUIDANCE ON VAROUS ASPECTS OF ENTERPRENEURSHIP. Try HP catlyst http://www8.hp.com/us/en/hp-information/social-innovation/youth-enterprise.html and http://www8.hp.com/us/en/hp-information/social-innovation/life-building.html It talks of technoloy but the same is simple… they run prorms and give further support!! good work womens web! would love to read more such analytical studies! The study that you have presented is very detailed and all the more inspiring for working women like us. I was going through another site on the same lines which spoke on how mothers are rising as entrepreneurs. With love they are called “Mompreneurs”. Sharing the link with you. 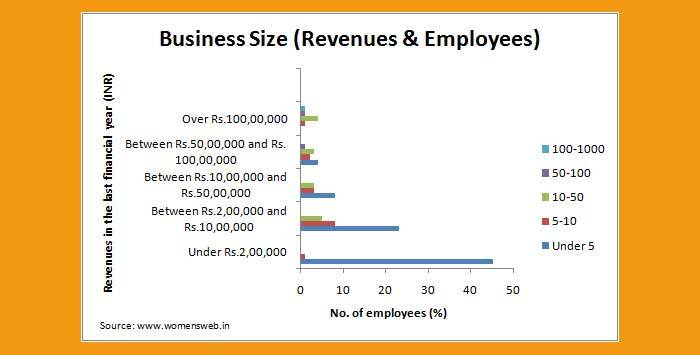 Hope you enjoy reading it: http://smallbusinessindia.intuit.in/general/mompreneurs%E2%80%94the-rise-mother-entrepreneurs-india/. I run my own Training Business at http://www.trainism.com/ & I must say that your findings to the subject is so true! I am sure it is also inspiring for a lot of young leaders! The charts are indeed very inspiring, we do not need a backbone support to be independent, its all at the power to dream big and smart….. I wish luck to all my friends. Great article! Can I please get in touch with the person who has compiled this data analysis? I am working on the market research part of my business plan and would really appreciate some help. Hi Sampada, could you please share your experience and suggest some guidelines to successfully acquire finances required for the initial set-up? this really helped me for my seminar work thank u and pls update many-more things so tht we all wil be motivated to be an entrepreneur……. I too agree with this. I have started my own IT Company in Madurai with website design, logo design, mobile development services and so on. High growing level and planned to start a new branch office at Coimbatore. I hope I will become in the top list. Nice post. Very good study and presentation. good research work!! I am doing a academic project on entrepreneur orientation .women entrepreneurs pls provide your contacts so i can mail you the questionnaire !! your support and cooperation will motivate more studies on women entrepreneurs at doctorate level . I am a single dentist ,41,unemployed living alone in my flat in Mumbai.i have a computer and internet connection. I was working abroad as dentist for ten years,but unable to find a suitable job here. I would like to work from home,if possible,manufacturing or internet based,but not marketing. please let me know if you have any ideas or whom I can contact. I don’t have the money to become a member of tie,fiwe etc.,their membership fees are about rs.3500. Hi Sangeeta, you can explore various funding options available through ventures like sme corner, fund hound, etc. Yes, being an Entrepreneur is tougher for women than it is for men. The difficulties go up a couple of notches when the women entrepreneur is a mother as well. From the usual management issues faced by any entrepreneur, to handling home and children adds to the challenges for Mother’s in business. With all this in mind, we started a network called MompreneursIndia for Mother’s in business. From conducting training programs, upgrading skills, to helping collaborations and connecting Mompreneurs across the country, we at MompreneursIndia have done that and more.